The Avengers, 2014. Mixed media on Rives BFK paper, 11x16. 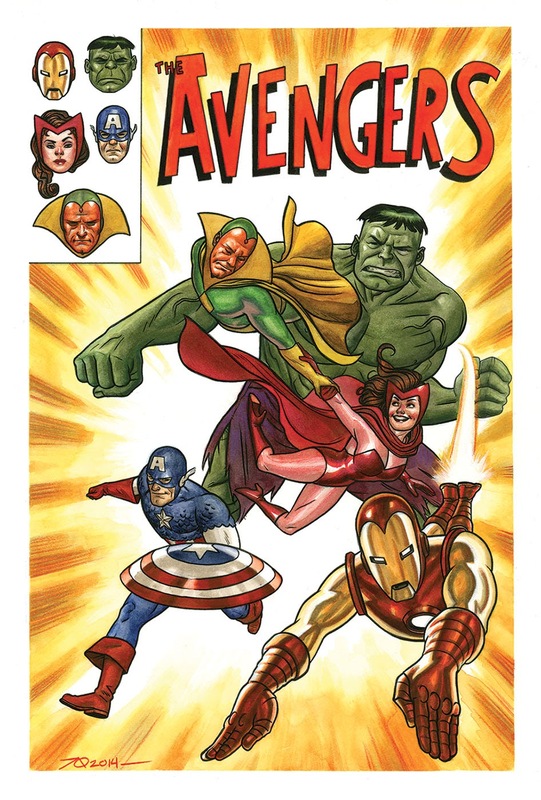 Here’s a look at the Avengers commission I had been teasing last week. Hope you like! I’m back home from a great weekend at Baltimore Comic Con. Thanks so much to everyone who came by my table and for the kind folks who work at the con for having me in the first place. I really appreciate it. I’ve a bunch of commission pictures I need to sort through that I’ll be posting in the coming days and weeks.